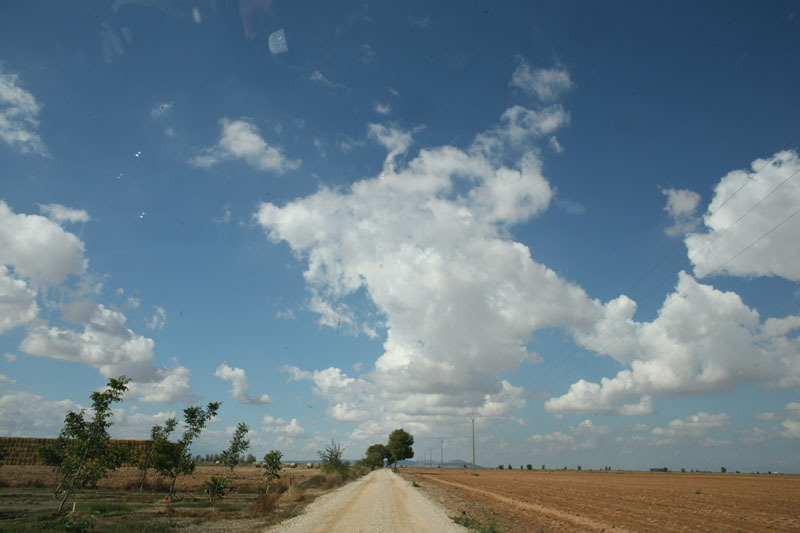 Castilla La Mancha, made famous by the fantastical protagonist in Cervantes’ Don Quijote, sits in the center of the country and is distinguished by its windswept plains. 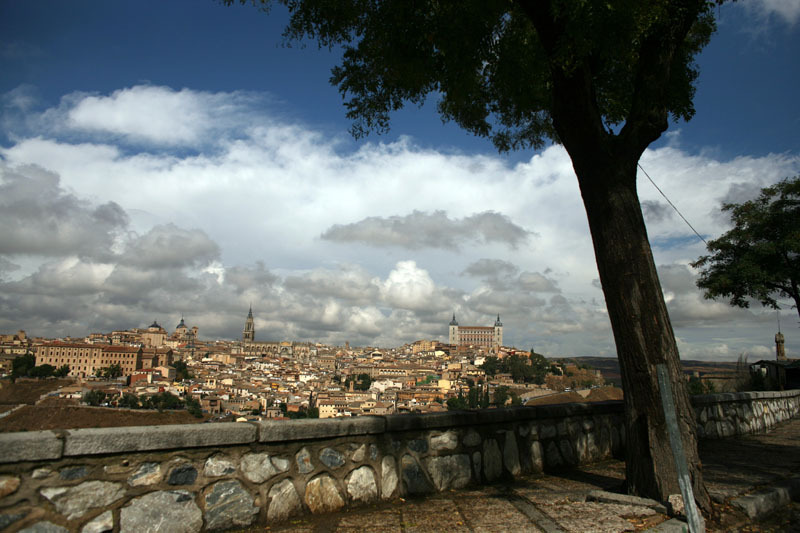 The site of many religious battles, Castilla La Mancha is a historically important location whose cities, especially its capital, Toledo, have a particular deep-rooted-ness about them. Spain’s most famous cheese comes from this area—in fact, Mark and Claudia visited a cheese maker whose Manchega sheep produce some of the best Manchego they ever had. Mario, Mark, and Claudia ate here during their Castilla la Mancha tour. It’s one of only two restaurants in the town and, luckily, it’s good. Must try the carne a la piedra, thin slices of pork cooked on a hot stone. Gwyneth and Mario prepared some wonderful, traditional dishes with Adolfo, including partridge served so rare it left a lasting impression on Mario. This was also where the group celebrated Claudia's birthday. In addition to his (in)famous partridge, the restaurant offers the best dishes of the area. This is one of the most well-known Paradors and it deserves the praise. Built on the edge of a hill, it’s located where El Greco supposedly sat to catch the greatest view of the city. Perhaps the most luxurious hotel in Toledo, Gwyneth, Mario, Mark, and Claudia enjoyed their restful stay here. Santo Tomé, the small church where Gwyneth and Mario visited The Burial of Count Orgaz, one of El Greco’s most important and popular works. Gwyneth noticed interesting patterns in the painting’s numerology. 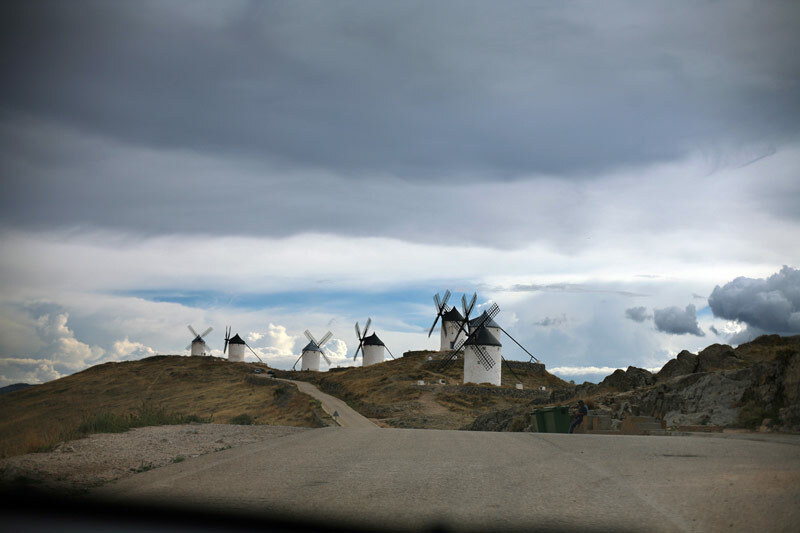 Consuegra, where Los Molinos (windmills) are located and where Mark and Claudia learned to make migas with Javier Muñoz. 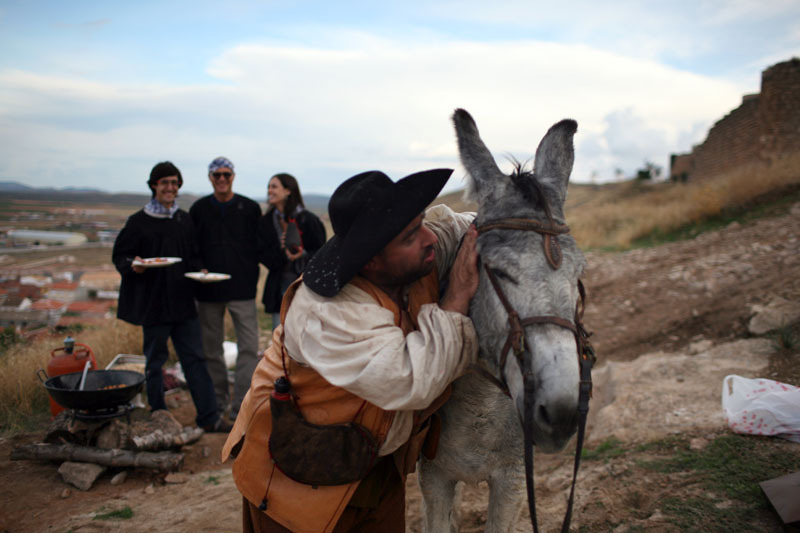 Artequeso, where Mark and Claudia went to see where some of Spain’s best Manchego comes from.